Okay, now it is official. Google finally announces that page loading time has become one of the ~200 signals (↑) that influence rankings in its search engine. If you are a little bit tech savvy when it comes to web technologies, check out the post. There you’ll find resources and tips on how to tackle the issue. The Google Webmaster tool (↑) also offers a new function at Dashboard / Labs / Site Performance which gives you a hint how your site is doing right now. I already told you in September, 2009, how to speed up your website. Posted by John W. Furst in SEO, Web Site Development on Wednesday, April 21, 2010 has got 6 Comments. Are you searching for ‘a car’ or ‘many cars’? A couple of month ago I have written about the basics on how to choose a domain name. Today let me add one important point. The weird mess up on his part is that he even has a very beautiful logo with …labs, but his domain name is …lab.com. I don’t think I am the only one making this mistake, but I am one of the few who actually try the other version as well. The average web surfer might just give up right away. Posted by John W. Furst in Marketing, SEO, Web Site Development on Monday, March 29, 2010 has got 5 Comments. I just have read a not so bad blog post. However, when I checked out the about page I got turned off. Come on. You can do better than that. Anybody who is getting serious about putting your blog in their RSS reader or subscribe to your e-mail list will want to know more about you. The about page is a great place to let your readers know who you are, what you can do for them, and why they should listen to you. You have a name, haven’t you. Use it. Introduce yourself with a short bio. … or introduce each team member who writes in the blog on a regular basis. Of course we want to see your photo(s). A nice photograph makes it more personal. You do not want to miss this step. What problems can you help the readers with? Why are you qualified to help them? Tell them how they can stay in touch with you. An optin form on the about page i snot such a bad idea. However, remember the good rule of thumb: “One page, one action.” Don’t offer too much. By the way: Have you ever thought of putting a personal video message (↑) on your about page? I guess, it’s time to do that. You don’t have to get it perfect. 5 % better than your competitors will do. P.S. : I just realize I should update the about page of my own as, well. P.P.P.S. : Do you have anything to add? Any comments? I am sure you have. Let me know. Posted by John W. Furst in Miscellaneous, Web Site Development on Wednesday, March 17, 2010 has got 2 Comments. Recently I have described how I fixed a wrong setup of the tweetmeme button on my blog. I manually modified the blog template and I only mentioned briefly there is a Wordpress plugin for Tweetmeme. Acknowledging Wordpress as the most popular blogging platform I need to follow up with a more detailed description of the Tweetmeme WP Plugin. The installation and configuration is straightforward and shouldn't be a problem for anyone who has installed Wordpress on her hosting account successfully. I provide some screenshots for your orientation. Update Dec. 21, 2009: I made a screencam video of the procedure as well. 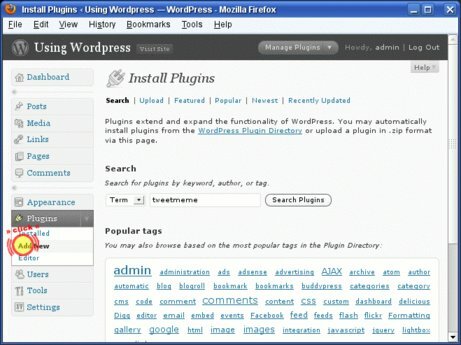 You can download the plugin from Tweetmeme (↑) or directly install it with the Wordpress Admin Interface. Posted by John W. Furst in Social Media, Video Series, Web Site Development on Friday, December 18, 2009 has got 6 Comments. A couple of days ago I have removed my do-it-yourself Tweet-it button and put the button from Tweetmeme (↑) on this blog. It's more encouraging for website visitors to retweet a story that already has been retweeted a lot. People follow the crowd. Besides that the button looks pretty, too. 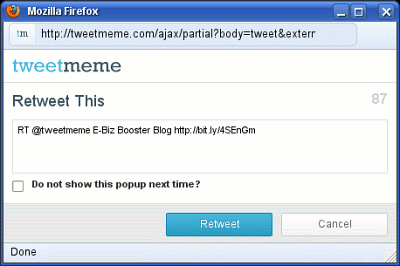 Update Dec. 12, 2009: I have added a blog post about the Tweetmeme Wordpress Plugin. However, as simple as it is to put a button on a blog or website I still got it wrong. Browsing the Web I can see that I am not alone. Therefor I decided to write a short article about how to get Tweetmeme up right. Do you spot what's wrong? At first, it should be my twitter username that's retweeted, shouldn't it be. Secondly, the text is not really informative or encouraging a retweet, isn't it. Thanks to Andy Beard (↑) for shooting a quick email to me and pointing this out. Andy is someone whose suggestions got picked up by the tweetmeme developer team (↑) after his blog post in May, 2009. Now Andy uses Tweetmeme on his blog. Obviously I have screwed up this rather simple task. Shame on me. Posted by John W. Furst in Social Media, Top Posts, Web Site Development on Wednesday, December 16, 2009 has got 1 Comments. Does the new Alexa Sparky add-on kick out Google? What a surprise — for the first time I got search results surfed by Microsoft's Bing search engine. And I did not even intend that. All I wanted to do was to find a particular project for a Wave client (software) I read about on the Web. I typed my query into the address bar, hit enter, and got these results below. Not necessarily what I was looking for. But wait a second … Why didn't Firefox serve the result from Google as usually? Search result from Bing! Why? Well, I played around with Bing a tiny bit, right when Microsoft had launched their new search service but I did not stick with it for long. Honestly, Google is my most favorite search engine. Period. 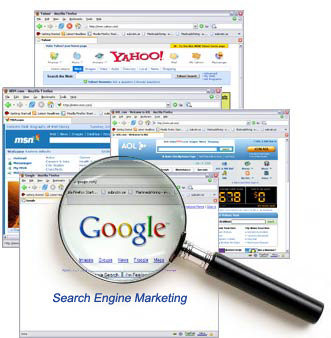 Google did not only catch me for search, but with a plethora of other great applications. 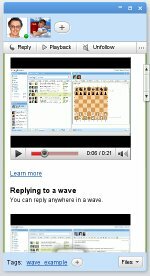 From Gmail, to Google Docs, AdWords, … to their translation tool, and … Wave is the latest on the list. They hooked me up. Probably for life. So I was quite surprised that I suddenly got Bing results displayed. I remember that I had updated my Alexa Sparky add-on for Firefox this week. I also remember having seen a note about new features but I kind of ignored it. Now, it's obvious what had happened. Alexa Sparky is one of the FireFox Add-ons I use. 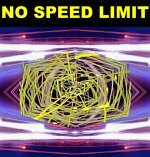 Posted by John W. Furst in Miscellaneous, Usability, Web Site Development on Friday, November 27, 2009 has got 2 Comments.